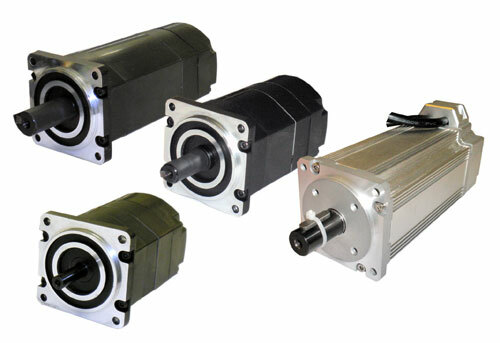 Motion Control Products LSM60 series servo motors offer high performance with wide output range from 100W to 1.5kW*. This series motors are designed to operate over a broad range of speeds and have the advantage of reduced maintenance since there are no brushes or commutators. Owing to their high performance-price ratios, these motors are ideal for cost sensitive applications. Standard model includes a standard 2500 line encoders with differential encoder signals (A, B, Index), and Hall Sensors with standard Hall signals, (U, V, W). Ideally to use with our own DSD806 servo drive, the LSM60 series motors can meet many high speed application requirements and have very low torque ripple, at 0.3% of rated torque. * Motors with rated powers higher than 400W are coming soon. PC programming cables for tuning the motors and drives to achieve the best performance. Cables will be used on DMD series digital stepper motors, DSD series and ACS series digital servo drives and iSS57 integrated motors with drive/encoder etc.